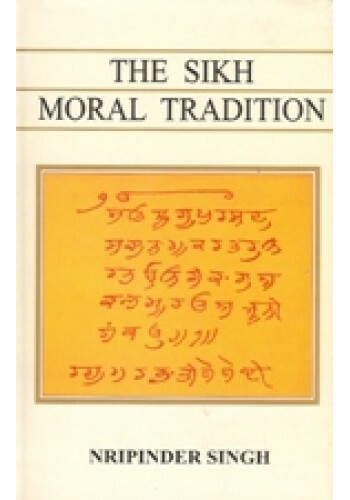 This exceptionally fresh study invites the reader to examine on the basis of historical evidence the ethical perceptions of the Sikh community at the turn of the last century. How do a people individually and collectively form and articulate their moral and religious outlook? How is a sense of distinctiveness enhanced under stress? Heritage is subject to a constant process of reassessment, and the presence of the colonial power, the role of other religious communities, and peculiarities of time and place are all factors to be taken into account. But this study does not stop with the usual coordinates of the sociologists' and historians' investigations but tries to chart the inner metamorphosis taking place within the Sikh community itself. This metamorphosis involved not only a renewal but a regeneration. The student of religious studies will find herein an in-depth study of the ethico-religious dimension within the lifeworld of the Sikh community. It deals deftly and insightfully with a multitude of data including movements, scriptural and other literature, codes of conduct, and moral reasoning. In so doing it also provides reflection on the general question of the relation of morality to moralities. 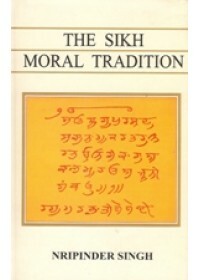 Through bold scholarship and judicious methodological innovation Nripinder Singh has succeeded in providing an outstanding work on the Sikh ethical tradition which never loses sight of its central focus but at the same time raises cross-cultural issues which will not fail to stimulate new reflection on some of the leading issues of our time, especially on the self-transforming capacity of tradition and the bearing this has on the book is excellently timed, for it will enable serious students of Sikhism both in India and abroad to understand better the relationship of belief and practice, past history and present challenge. Born at Faridkot (Punjab), Dr. Nirpinder Singh was educated at Punjabi University, Patiala, and at Harvard. At Harvard University, he earned his Ph.D in the history of religion and ethics. Table Of Contents For 'The Khalsa in Comparative Perspective' By Darshan Singh ..
Summary of 'Berkeley Lectures On Sikhism' By Harbans Singh The recent tragic events in the Pu..
From The Front Cover of 'Guru Ram Das In Sikh Tradition' By Gurudharm Singh khalsa Guru Ram D..